The SeaDataNet I (2006-2011) & II (2011-2015) Projects were first established in 2006 in order to consolidate marine data sets which are vital for marine research across 35 countries which have coasts along Europe’s seas. Within these countries over 600 scientific data collection laboratories, including governmental and privately owned were identified. These organisations collect data via sensors, for example on research vessels, floating platforms measuring physical, geophysical, geological, biological and chemical parameters, biological species etc. Often data collected was found to be invalidated, difficult to access, and not provided in a standard format and their availability not ensured for future use. The aim of the SeaDataNet projects was to provide a standardised system for managing the large and diverse data sets collected by oceanographic fleets and automatic observation systems. The SeaDataNet infrastructure networks and enhances currently existing infrastructures. The work of the SeaDataNet Projects is being continued by the SeaDataCloud which started in 2016 and will run until 2020. 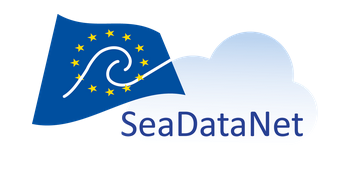 The SeaDataNet Projects and network are a major contributor to the development of the European Marine Observation and Data network (EMODNet) and have been since its inception in 2008. The SeaDataNet series of projects have qualified themselves as the itself as leading infrastructure for the EMODNet data management component and is driving several thematic portals including those for chemistry, physics and bathymetry.